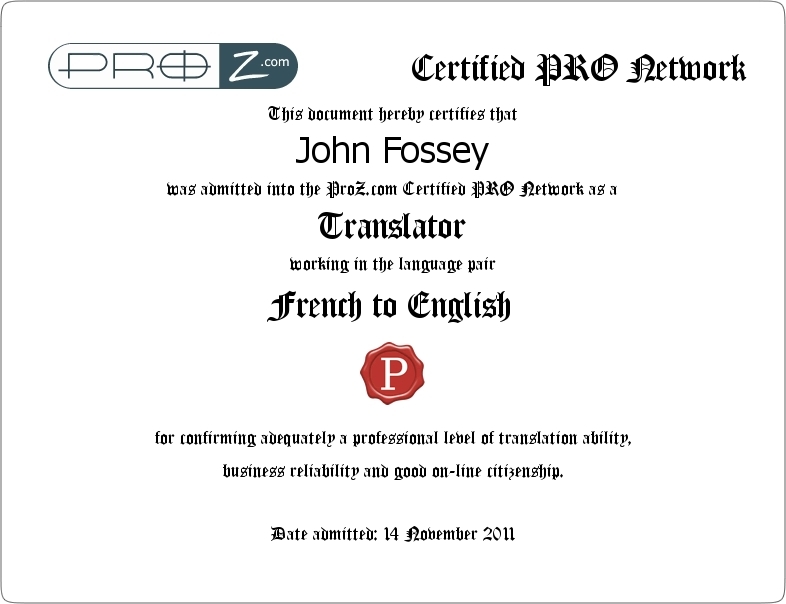 Do you have documents that you need translated from French to English? Is quality and accuracy important to you? If so, you have come to the right place. I am a native English speaker, born in the French Canadian city of Montréal, and have lived here all my life. During my professional career I have accumulated over 30 years of experience in the above areas of expertise, both as employee and while owning my own business. For over ten years years I have been in full-time private professional practice as a translator and am ready to bring my experience to your work. Please request a detailed quote for translation of your documents as described above. Prices depend on the number of words, complexity and urgency.